The Lumia 640 includes several media apps and services. 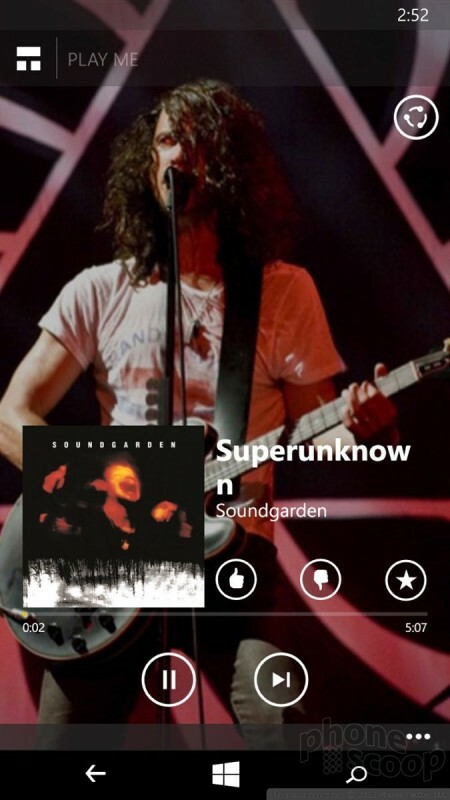 To start, it offers the Microsoft Music and Video apps, which both hook into its XBox entertainment empire. 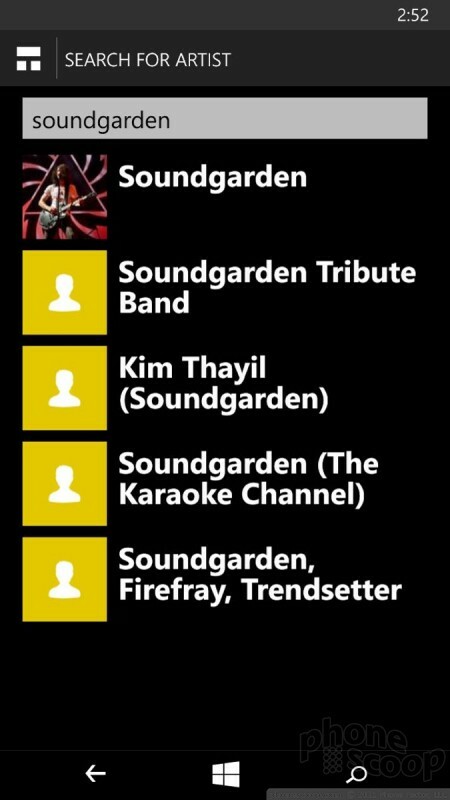 You can sideload your own music and videos, or buy stuff from Microsoft's extensive stores. 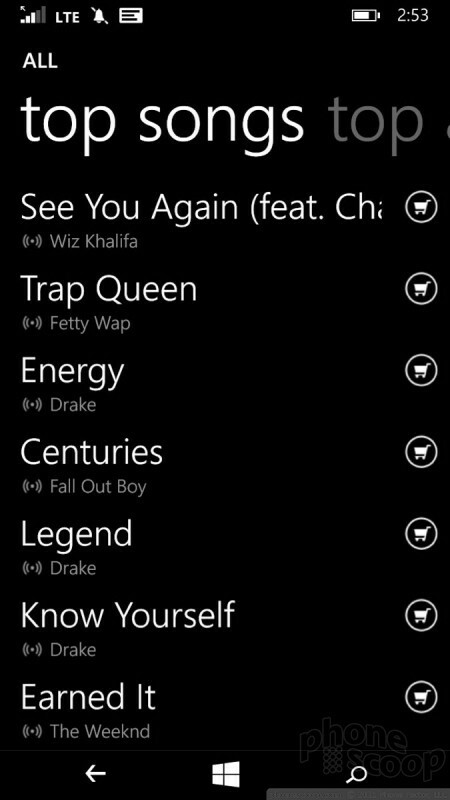 I've always liked the Windows Phone music app, which does a great job with album cover art and details. 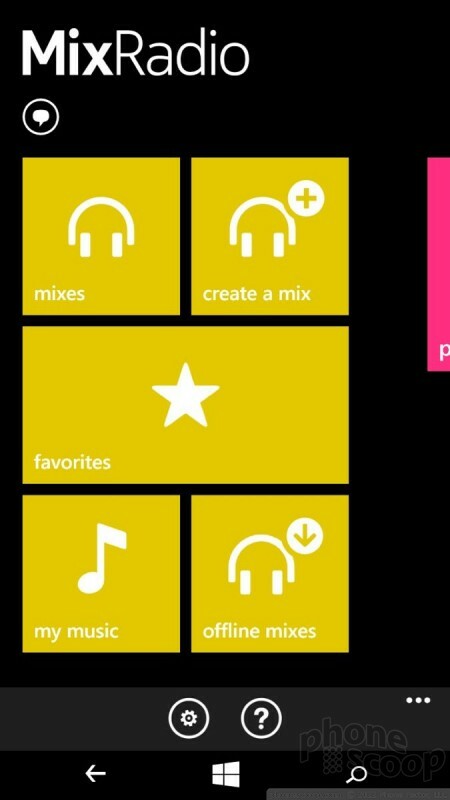 MixRadio is also aboard. 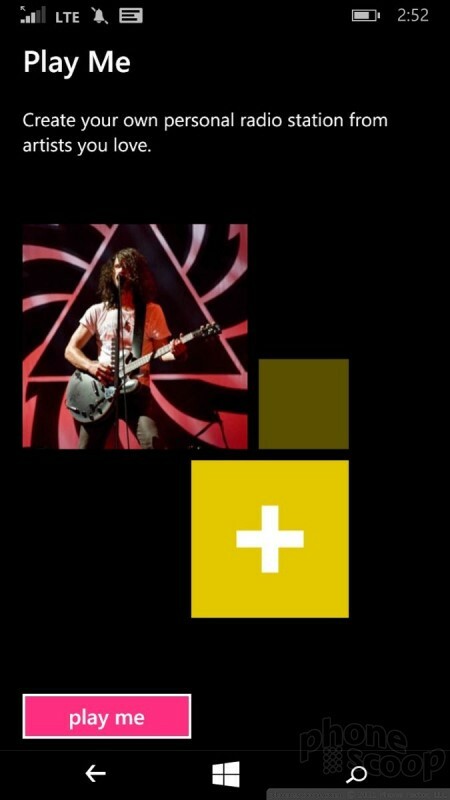 MixRadio was created by Nokia, temporarily owned by Microsoft, and later spun off to a company called Line. 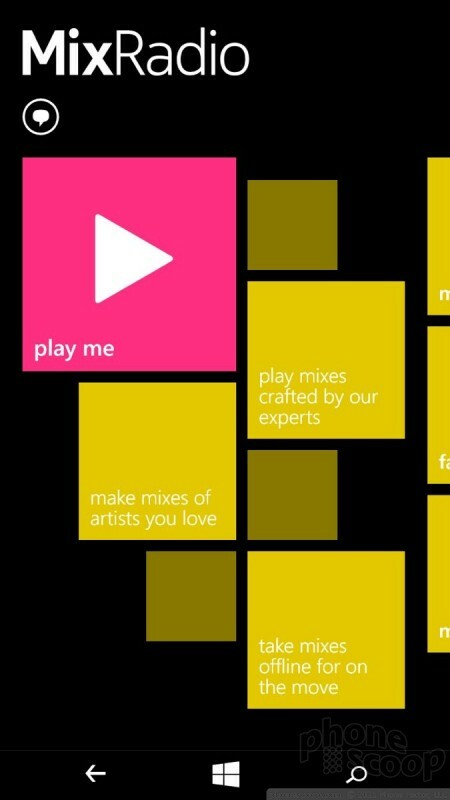 Just this week MixRadio pushed out a significant update. It's a really good (free) alternative to services like Pandora or Slacker for listening to streamed, curated playlists on the fly. The 640 tosses in an FM radio for good measure. I found it worked well in my neck of the woods. 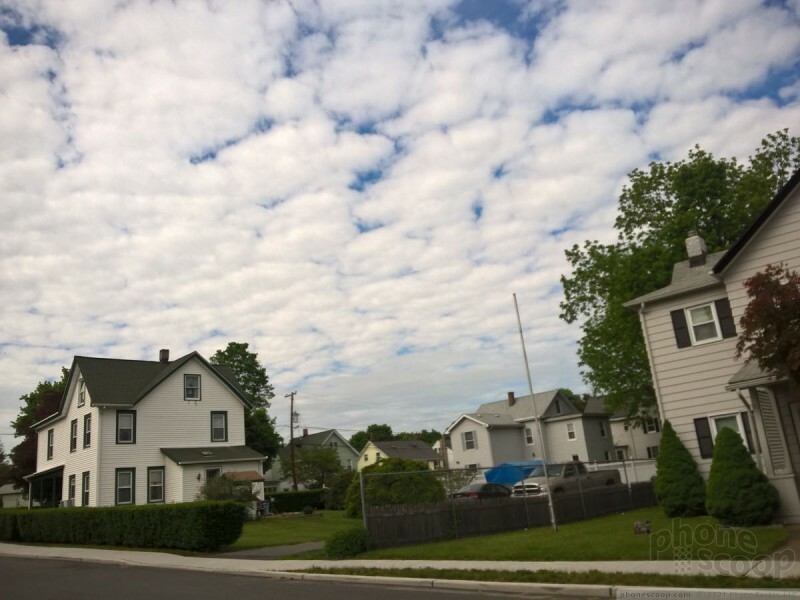 The Lumia Camera app is an amalgamation of Microsoft's old Windows Phone camera app and the dramatically more powerful Nokia camera app. The result is a strong balance between simplicity and flexibility. First, let me point out that the Lumia 640 doesn't have a dedicated camera button. That stinks. 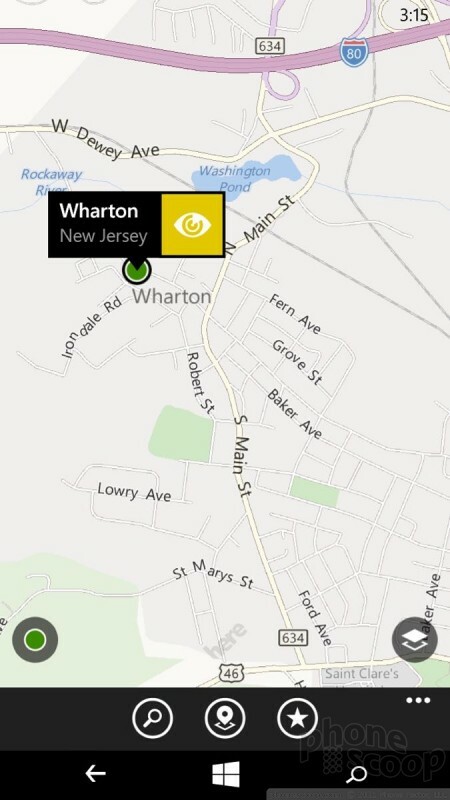 Nearly all Windows Phone handsets have camera buttons. At least Microsoft opted to put a shortcut to the camera in the notification center. You can wake the phone, swipe down the notification tray, and launch the camera without entering your unlock code. It requires way more steps than I want, but you get used to it after a while. 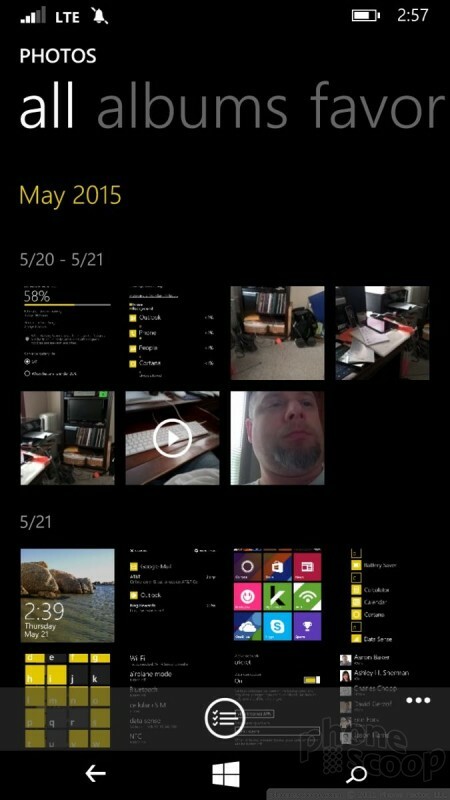 I can't tell you why Microsoft refuses to put app shortcuts (such as camera) right on the Windows Phone lock screen. The basic camera user interface will make most users feel right at home thanks to its plain arrangement. The settings, still shutter, and video camera are all accessed via buttons placed on the right edge of the screen. Alternately, a long-press of the camera button will force the 640 to capture video instead of a photo. 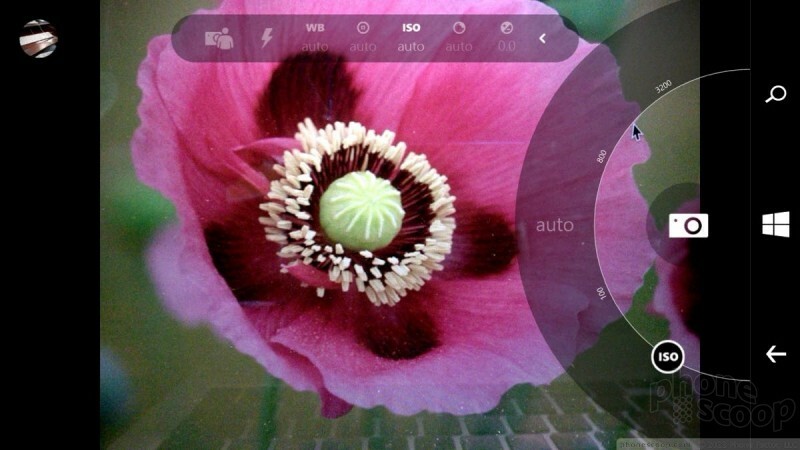 Most other camera apps take burst shots with a long press of the shutter button. There's no burst feature on the 640. A small strip of options floats at the top of the viewfinder. The default view of this strip lets you switch to the front camera, turn on the flash, or turn on Rich Capture Mode. 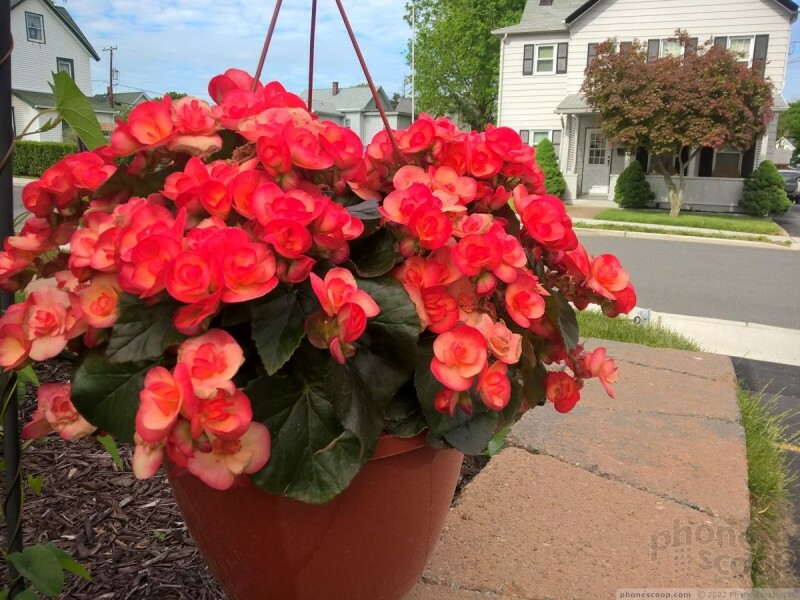 This mode purports to do a better job of getting accurate exposure, focus, and color. (Why Rich Capture Mode isn't the normal mode is beyond me.) These three tools are simple, though, and let you snap away with ease. 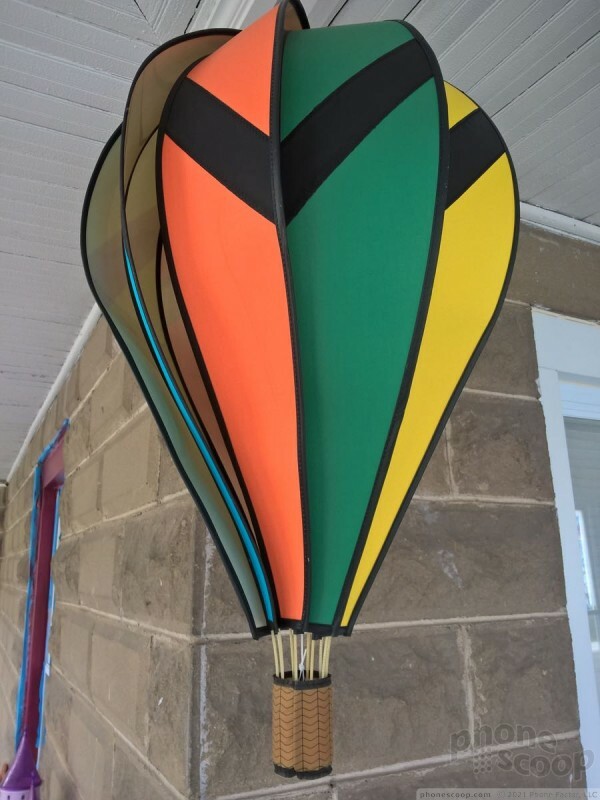 The strip also has a little arrow. Press it, and you gain access to full manual controls. 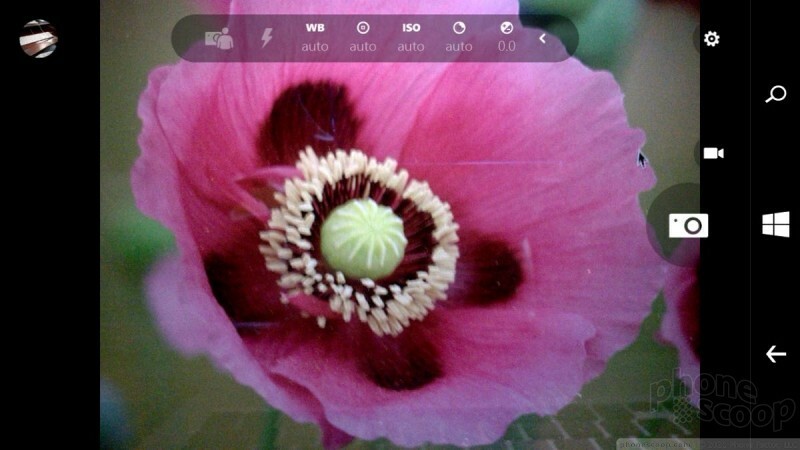 You can manage white balance, exposure, ISO, brightness, and focus all on your own. For knowledgeable users, these tools can lead to incredible creative results. 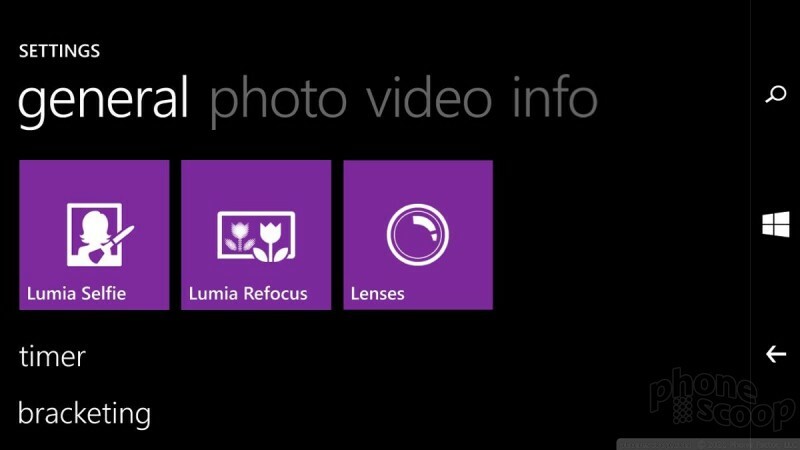 As with all Windows Phone cameras, the 640 includes several Lenses, which are add-ons for the camera. 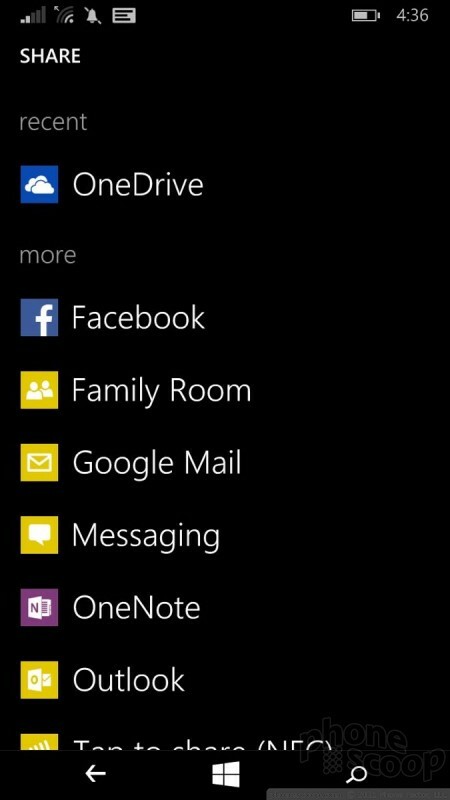 One of those preinstalled is Lumia Selfie. If you want to snag the best-possible self portrait, this mode gives you the tools to get it done right. 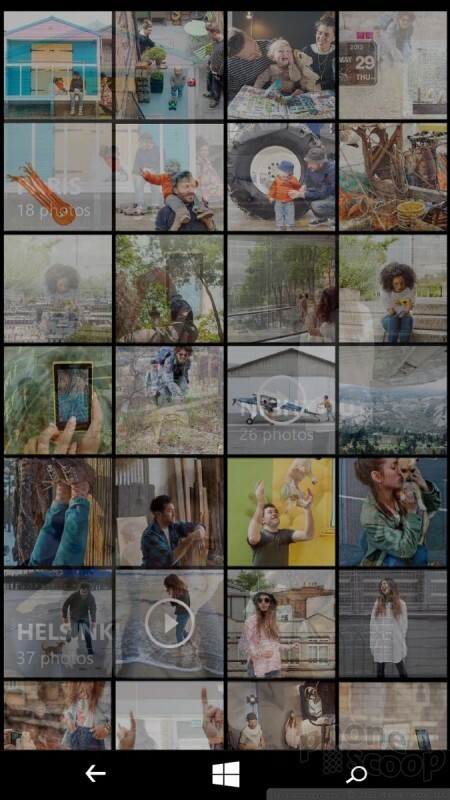 It includes a timer and some quick editing tools, such as cropping and mirroring, so you can make adjustments before sharing to social networks. 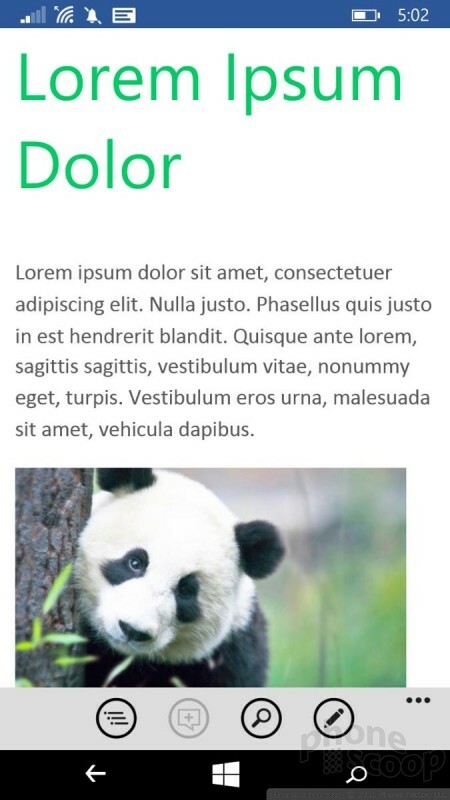 The basic gallery app is fairly solid. It breaks photos down into three major classifications: the camera roll, all albums (including online networks), and favorites. This makes them easy to keep track of. Editing features are rather limited. In fact, the app only lets you crop, rotate, and reduce red eye. 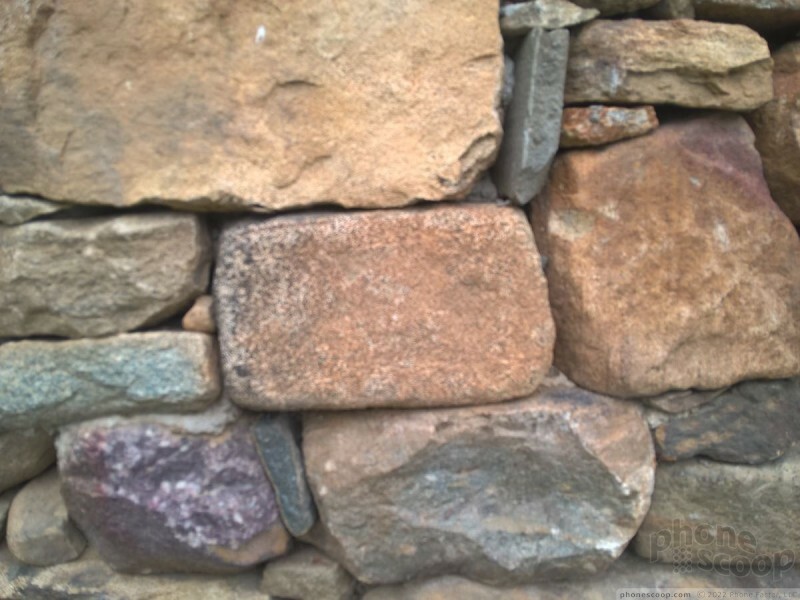 More advanced features, such as applying filters or adjusting for exposure/brightness, are conspicuously absent. 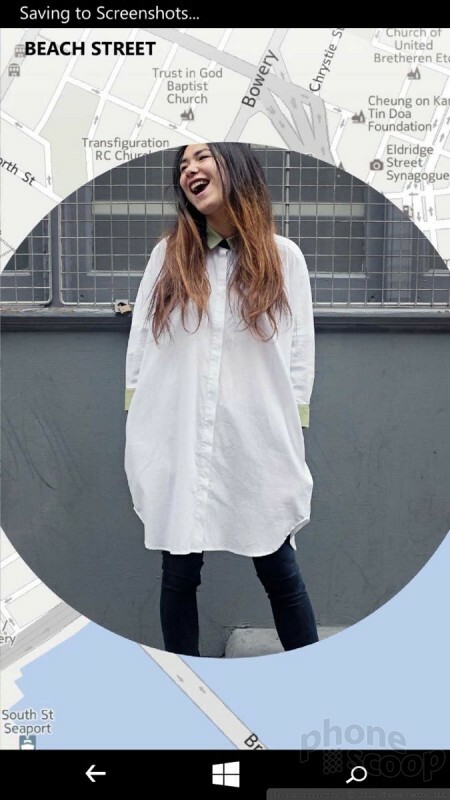 You can, of course, download the Lumia Creative Studio app from the Windows Store. Creative Studio adds plenty of editing power to the Lumia 640. I can't tell you why it isn't pre-installed; I highly recommend you add it. 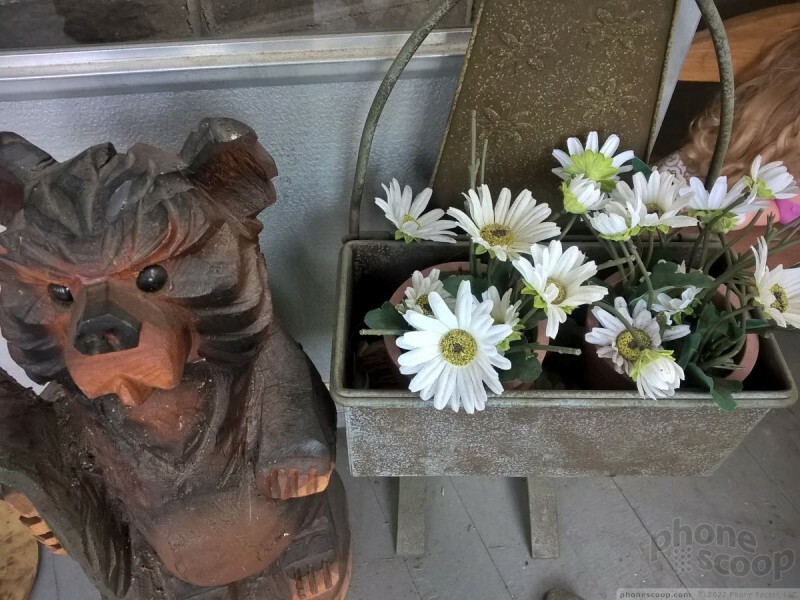 The photo app's ability to tap into your online networks is powerful. I strongly suggest you activate automatic uploads to Microsoft's OneDrive cloud storage service. 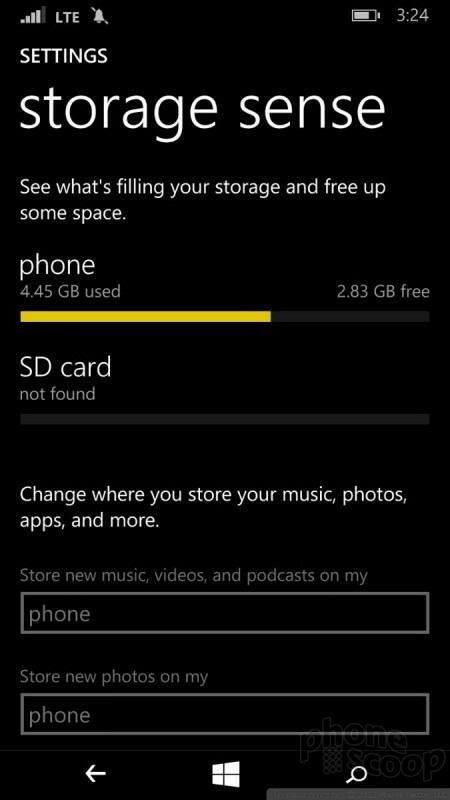 It's simple to setup, and Microsoft is giving Lumia 640 owners 100GB of free storage. 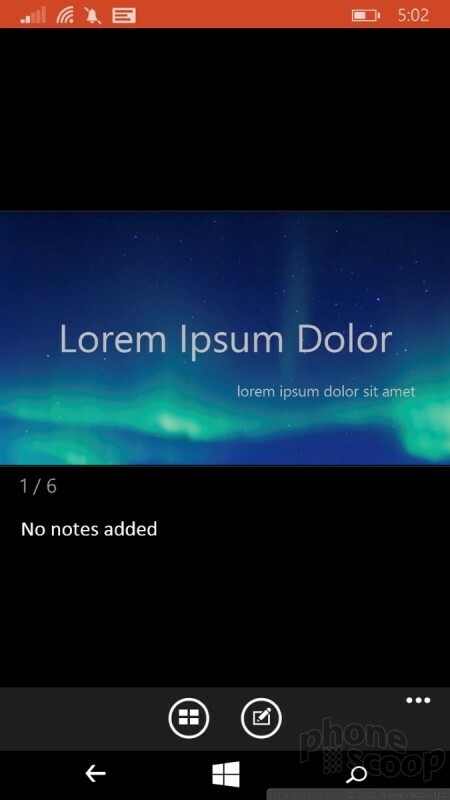 Lastly, the 640 has the Lumia Storyteller app. 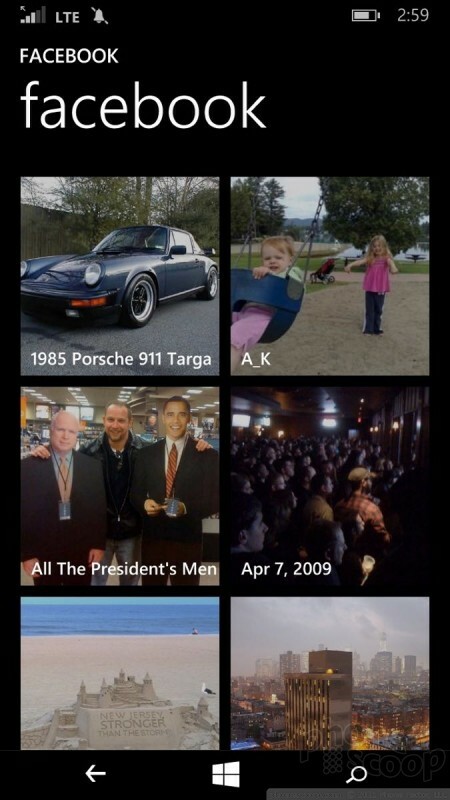 This will automatically create story albums based on the time and location in which you shoot batches of photos. 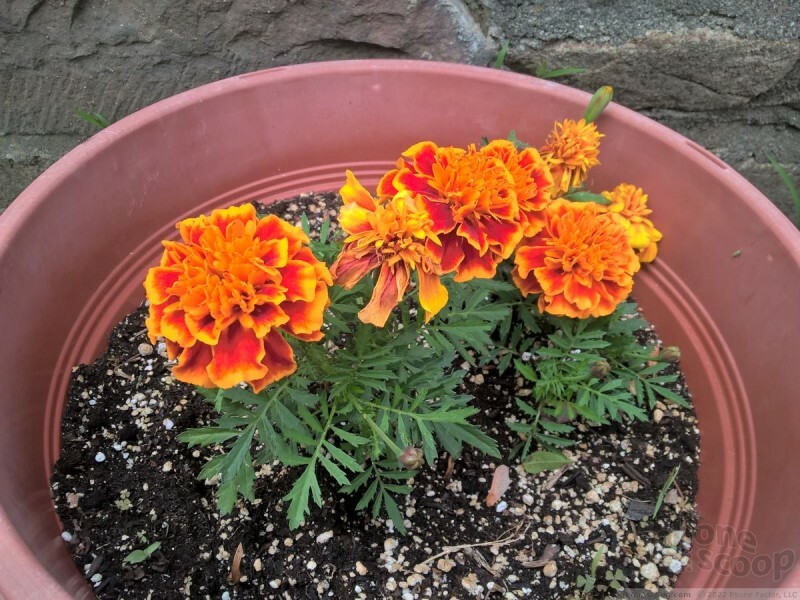 For example, if you go to Disney World, your Lumia 640 will pull together all the pictures you take on vacay and put them together in an attractive presentation all on its own. You can then choose to upload stories to Microsoft's web site, where they can be shared via web links. Stories can be public or private. The Lumia 640 has an 8-megapixel sensor. You'll need to adjust the camera to shoot in the 4:3 aspect ratio to get the full pixel count. 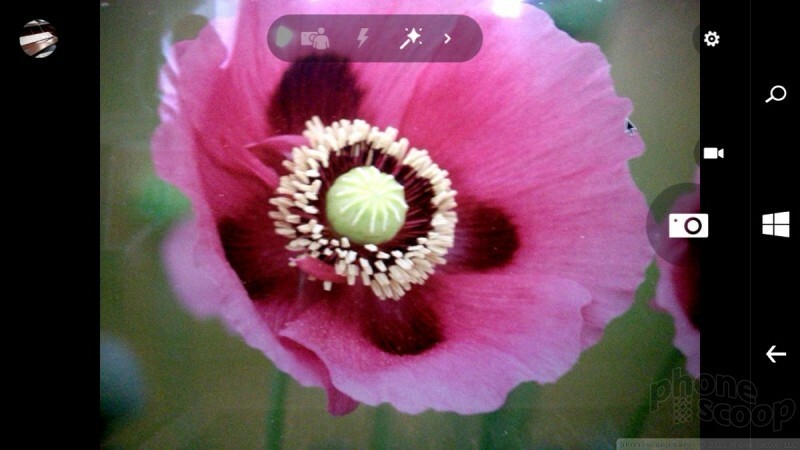 The default 16:9 setting crops your photos down to 6 megapixels. This phone far outshoots its competitors. The images are sharp, properly exposed, and well balanced with respect to color. The vast majority of photos turned out much better than I dared hope they might. 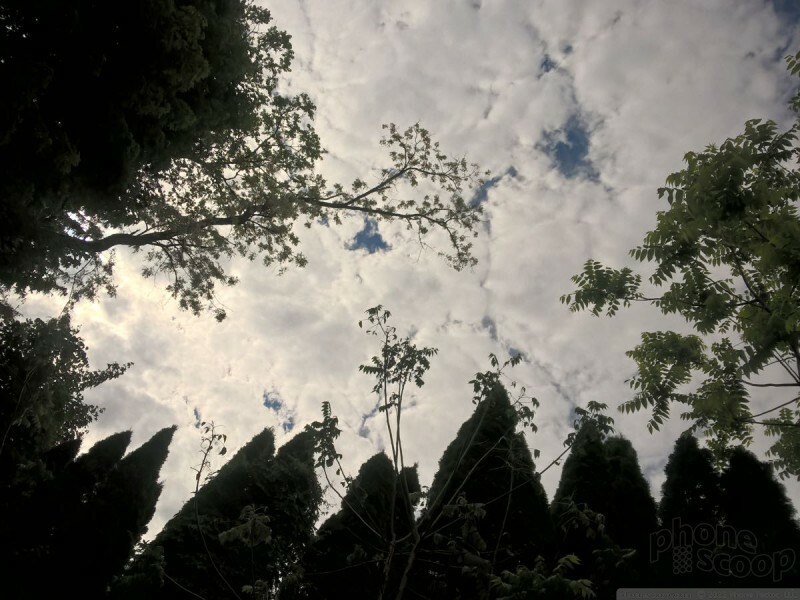 I couldn't tell much difference between normal images and those I snapped with the Rich Capture Mode. Many devices that play in the same price point have dramatically lesser cameras. The Lumia 640 is worth choosing over some competitors for this reason alone. One caveat: the 1-megapixel user-facing camera is practically worthless. Every shot I took was ruined by grain. 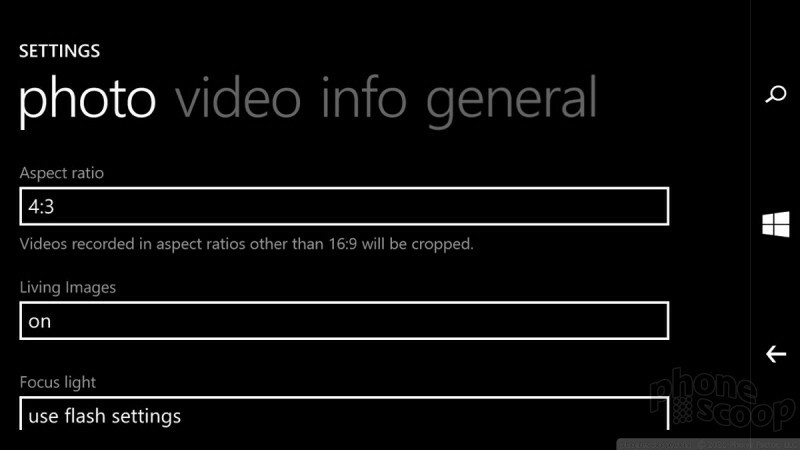 The 1080p HD video I captured with the 640 was closer to average. Focus, exposure, and white balance were generally accurate and the results were pleasing enough. I'd switch to dedicated video equipment for real videography needs, but the 640 is more than adequate enough for everyday video needs. Several times throughout this review I've said, "I couldn't tell you why feature X is excluded." That's not entirely true. The Lumia 640 has only 8GB of internal storage, of which merely 4.24GB is available to end users. That's precious little space for apps. This is probably why Cricket didn't cram too much of its own bloatware onto the device. Some of the basic Cricket apps include MyCricket and its WiFi hotspot app. I have to wonder, however, about some Microsoft selections, such as the Redmond company's Sports, Travel, Wallet, Podcasts, Money, and Food & Drink apps. There's not a lot of value in such apps when storage is at such a premium. The included Storage Sense app is suddenly vital when it comes time to manage how much space you have left on your phone. The 640 does support memory cards, and you'd do well to stick the biggest one you can afford in there for your photos and other media. The Lumia 640 supports most of the expected Bluetooth profiles, including those that let you connect to headsets and stereo headphones, and share information like files or your phone book. The 640's Bluetooth radio worked as intended and I had no issue with it whatsoever. I was generally pleased with call quality through my car's hands-free system, but music didn't sound all that impressive when pushed through my favorite Bluetooth speaker. 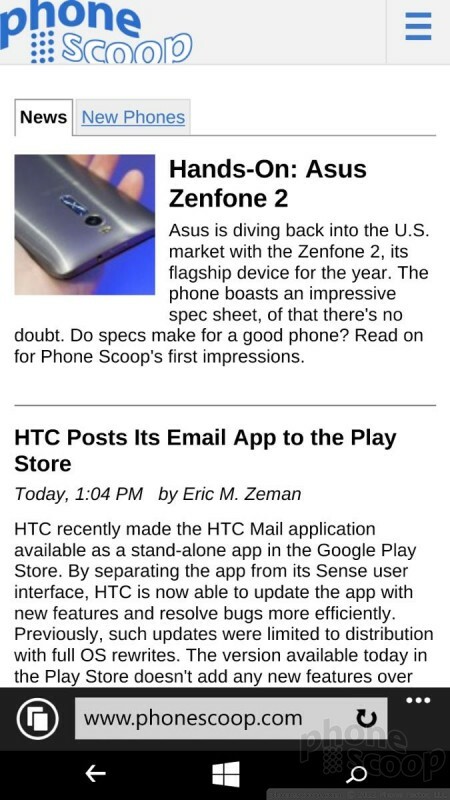 Internet Explorer is not the best mobile browser on the planet, but it's hardly the worst. It's capable of rendering web sites quickly and accurately. I genuinely like that the address bar and other controls are placed at the bottom of the screen, closer to your thumb. It does have some useful features, like permitting changes to the font size, cookie blocking, and Data Sense to help manage your monthly data usage. Glance Screen is really helpful when it comes to checking the time. Glance Screen puts the clock on the display when the screen is off. It acts like a screensaver and floats around. It's perfectly good for checking the time when the 640 is sitting on a desk when indoors, but it's pretty much useless outside. If you need to check the time when outside, tap the screen lock button and the clock is bright, large, and easy to read. 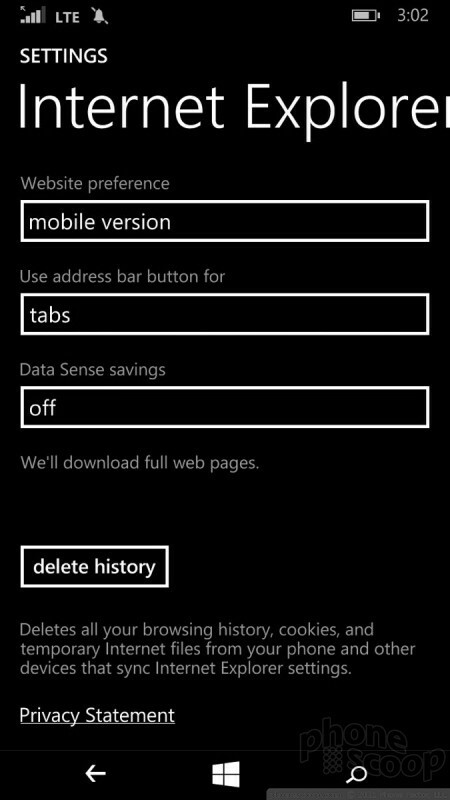 Like all WP8.1 handsets, the 640 includes Cortana. Cortana is a voice assistant, similar to Google Now and Siri. You can use Cortana to perform voice searches, dictate messages, and keep track of your flights and/or calendar. 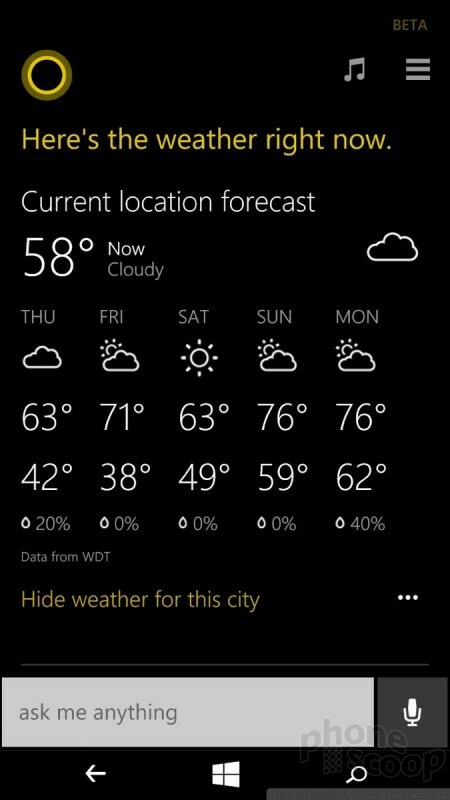 Cortana isn't quite as good as Google Now, but it's far better than Siri. The reminders feature is one of the best. For example, you can have Cortana remind you to ask about a friend's health the next time you talk to them. When you call that person, the reminder will pop up. Cortana also parses the Internet for items related to your interests, such as news headlines, sport scores, the local weather, and more. 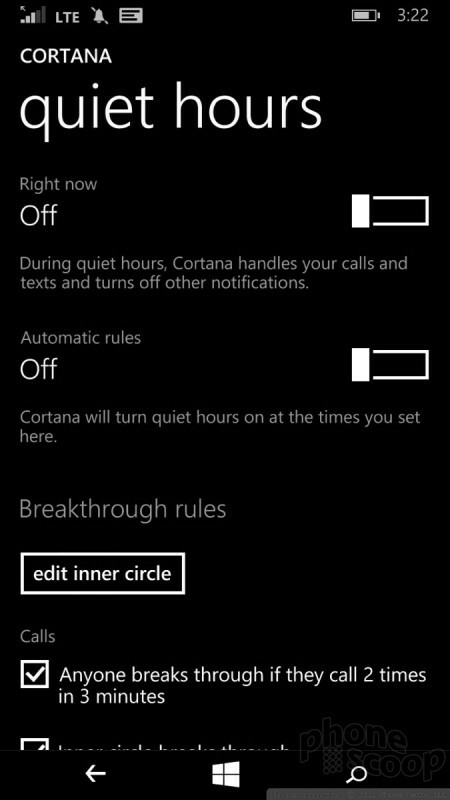 Cortana controls quiet hours and inner circle. Quiet hours are used to silence notifications during set periods of time, such as at night. The inner circle represents the closest of close contacts, typically family members. 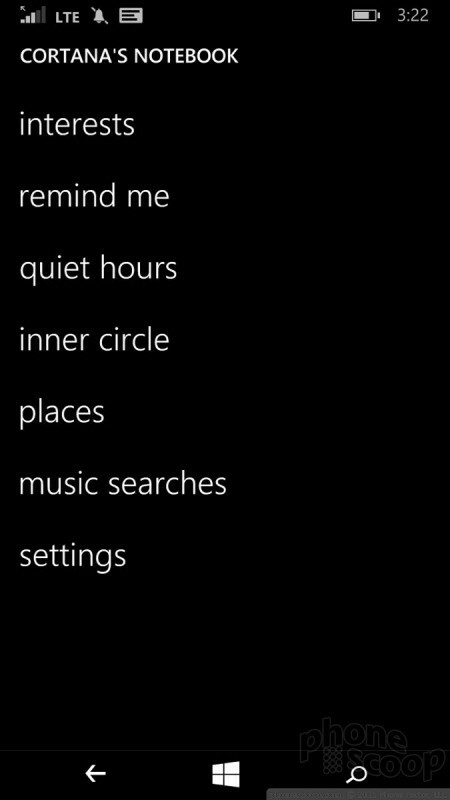 You can use Cortana to offer the inner circle access to you even during quiet hours. 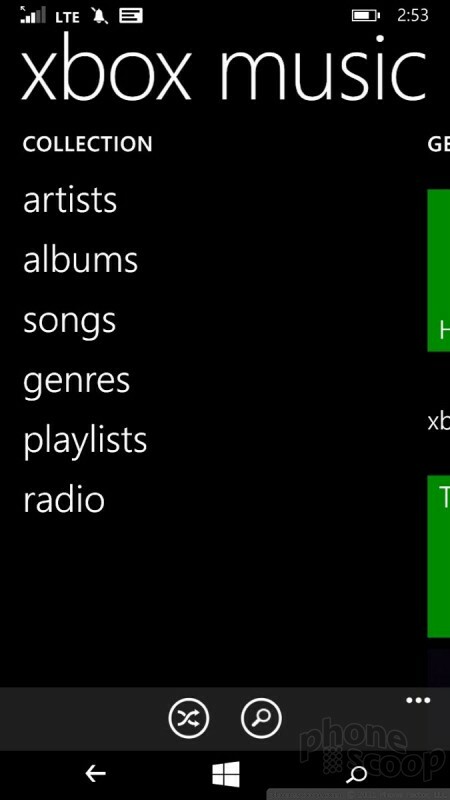 Last, Cortana can be used to listen to a song and search for it on the internet. I find Cortana isn't as good at this as other third-party apps, though. 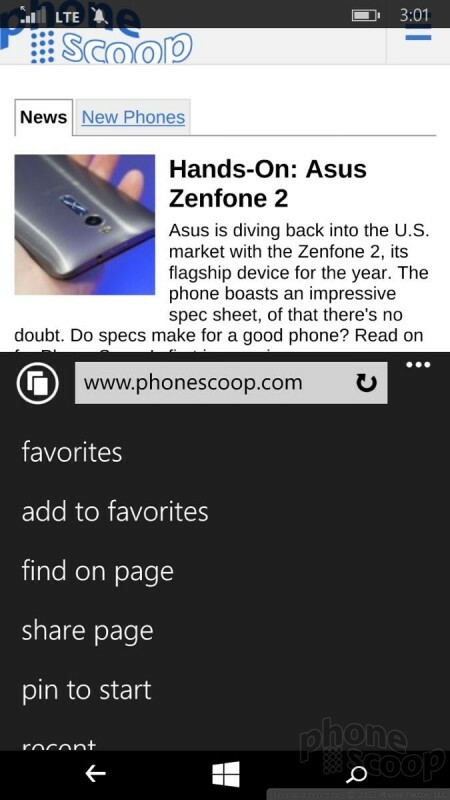 In sum, Cortana is a great feature worth exploring. It worked perfectly on the 640. What's better, since I signed in using my Microsoft account, it synced my settings from other Windows devices. 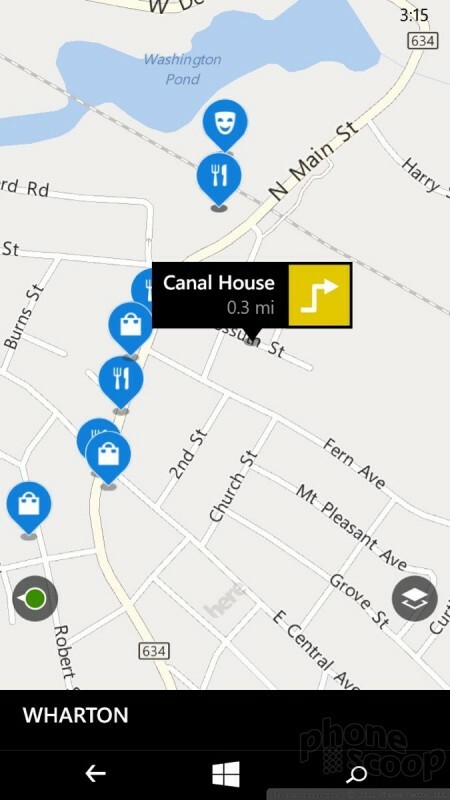 Nokia's HERE Maps is the primary mapping application found on the Lumia 640, and is joined by the separate but related Nokia Drive app for navigating via car. 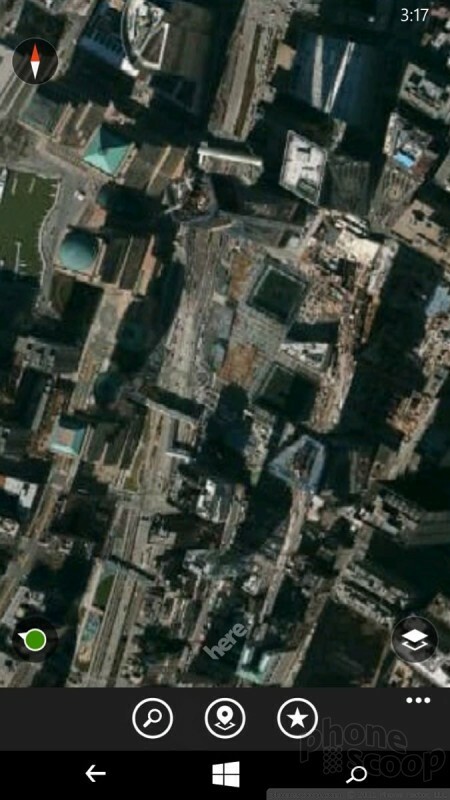 HERE Maps is a great mapping application and matches — if not beats — Google Maps. It's fast, accurate, and lets you store entire countries' maps for offline access. 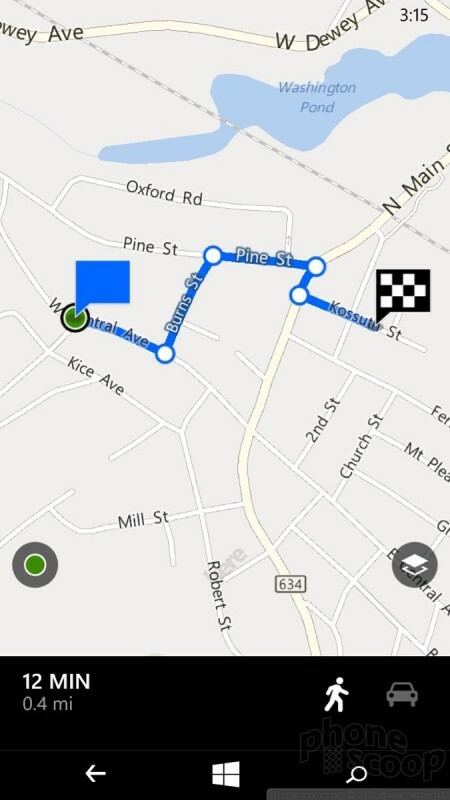 The Nokia Drive app does a perfectly acceptable job of directing you between points. I was pleased with the speed and accuracy of the Lumia 640's GPS radio, which found the phone in quick order. Microsoft's productivity apps have improved by leaps and bounds over the last year — though mostly on competing platforms Android and iOS. The Windows Phone versions of Word, Excel, and PowerPoint are still excellent and more than adequate for managing productivity. 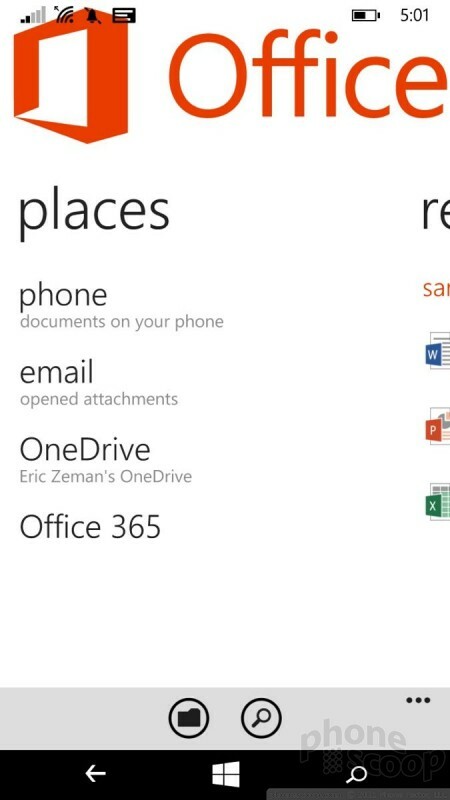 One critical extra available to the Lumia 640 is a free year's subscription to Office 365. With this, Lumia 640 owners will be able to create, edit, store, and access their documents from any Windows machine, including the Lumia 640.